Awww. Now this is too cute. 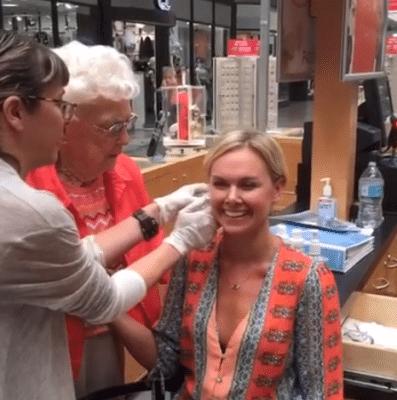 Laura Bell Bundy (age: timeless) decided it was time for her and her grandma (age: 86) to get their ears pierced and that they’d do it together in real-time on Facebook Live. Despite being afraid of the blood and holes in their ears, the two made a plan. The next day, Tuesday, July 19, LBB took to Facebook Live to share the start of their adventure. On the way, Grandma shared the reason behind never getting her ears pierced. 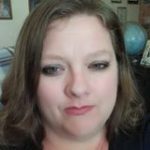 Turns out she was just a coward (her words). In the third and final video of their adventure, Grandma and LBB pick out their earrings and then go for it. Thankfully there wasn’t too much blood and screaming. What an amazing adventure to share with a grandparent.